Some MVPs score touchdowns, while other all-stars are masters of the full court press. If your idea of a spellbinding game involves a last-minute three-point throw, you need Slam Dunk. 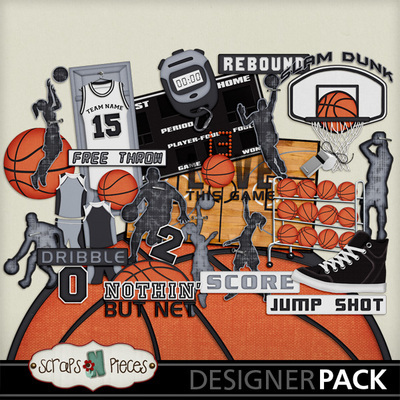 This kit is perfect for all your favorite basketball photos, ranging from youth athletics to high school, college, and beyond. 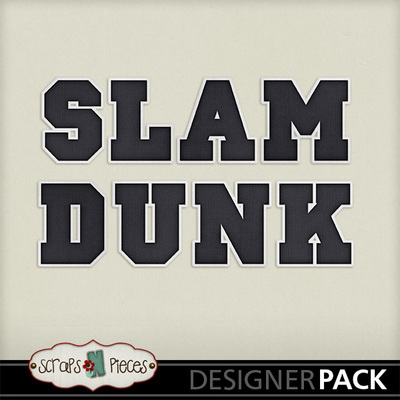 Slam Dunk has everything you need: hoops, a scoreboard, plenty of basketballs, a court, thematic word art, and silhouettes of players (boys and girls). There are uniforms and patterned papers in every color combination so you can show your team spirit. So capture those great shots that are nothing but net and scrap them with Slam Dunk.